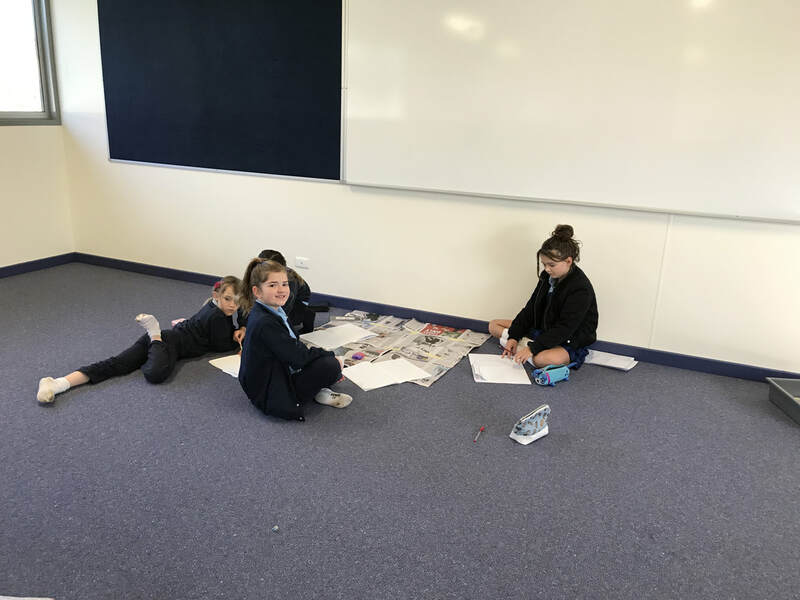 Grade 34 have been learning about Australia's history in term three. 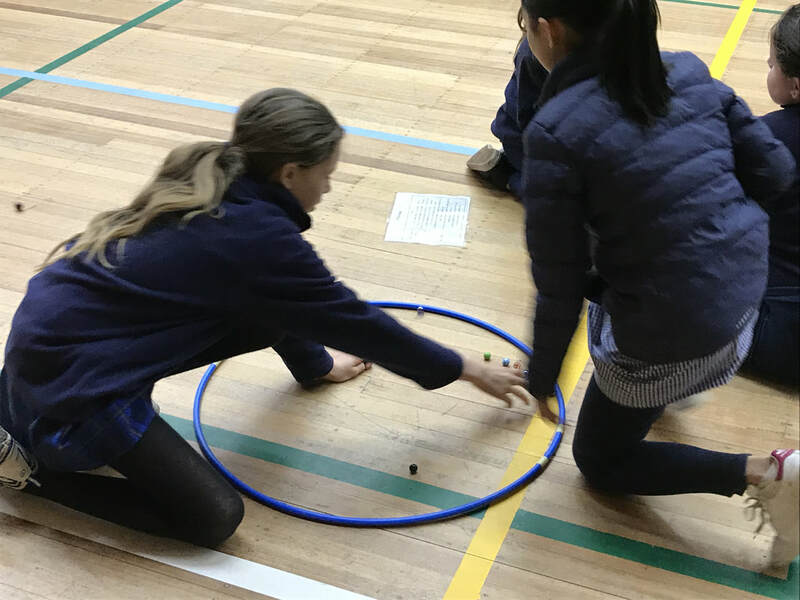 We participated in an incursion called 'Captains and Convicts' where we learned more about why the British first came to Australia and what life was like for convicts. 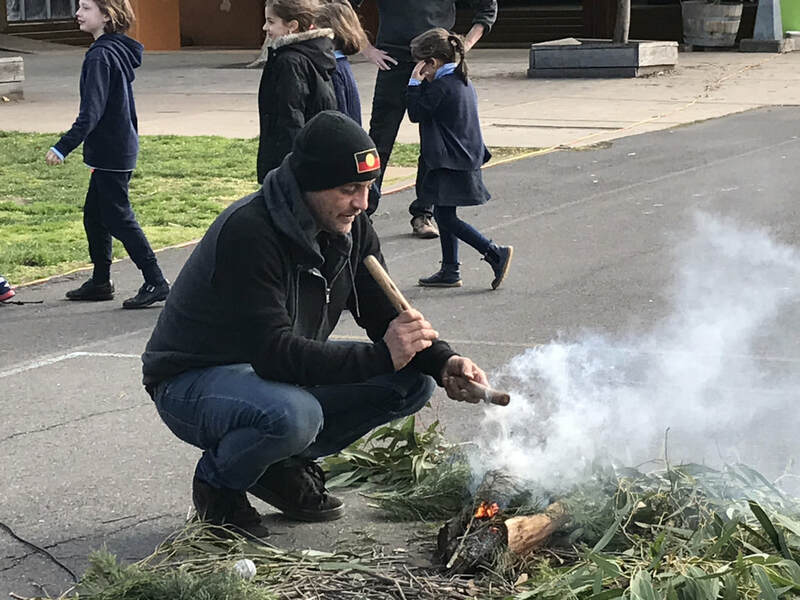 Coburg North Primary School had an Indigenous Smoking Ceremony and incursion recently. Uncle Bill came and taught us about the First Australians. We learned about Indigenous Australian culture and traditions and also got to see some tradition hunting tools and instruments. We have been learning how to measure area. We used newspaper to create a one metre square and then worked as a group to measure the floor of the new portables to calculate the area. 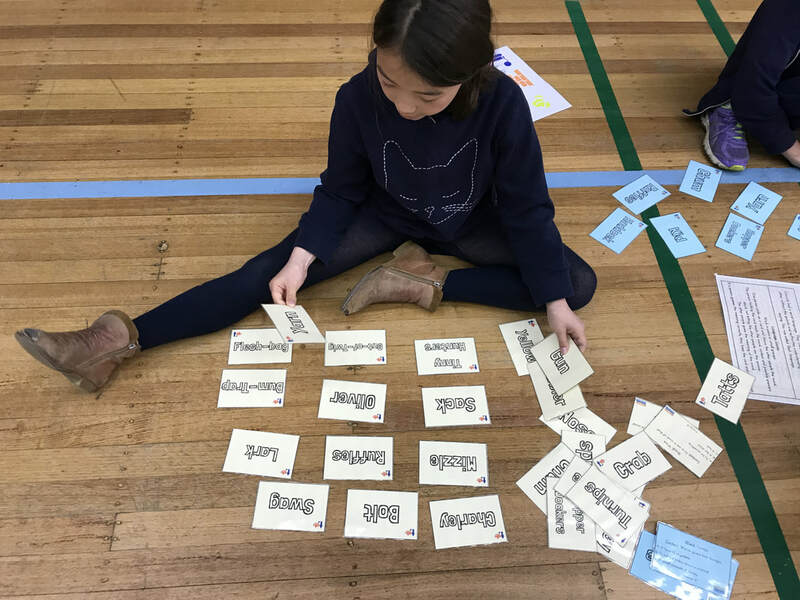 This week Coburg North Primary School are participating in The Great Book Swap to help raise money for The Indigenous Literacy Foundation. 34D have been helping out by making posters and setting up for the book swap on Friday 9th September. 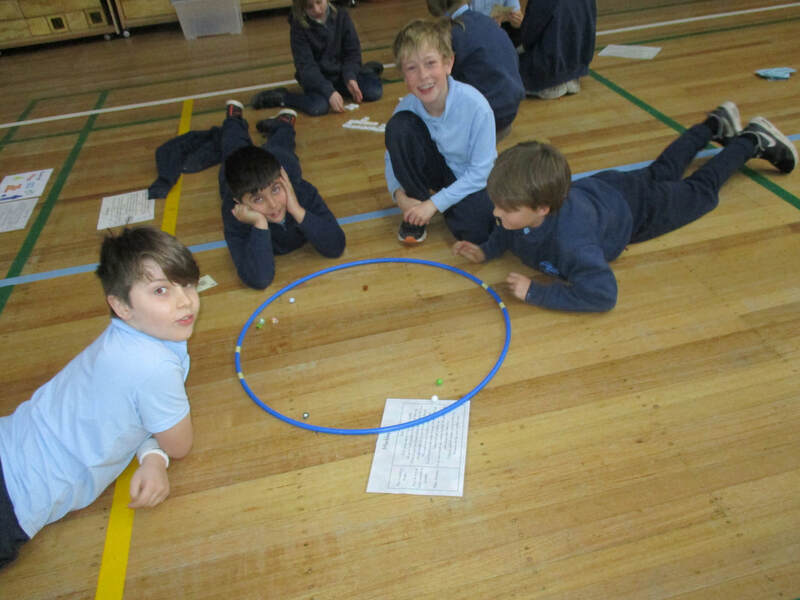 The Year 3/4D Maths incursion will take place on Wednesday 28th June. This term we dressed up as super heroes to help raise money for charity. ​There were lots of different super heroes in 3/4D. In term one, we learned about Dreamtime stories. 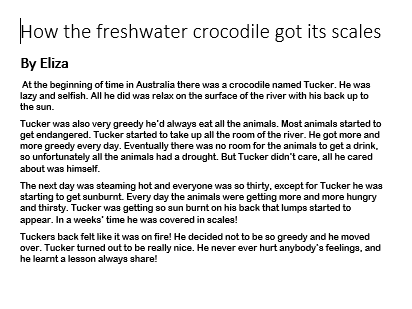 We looked at the features of Dreamtime stories and then used our knowledge to write our own. 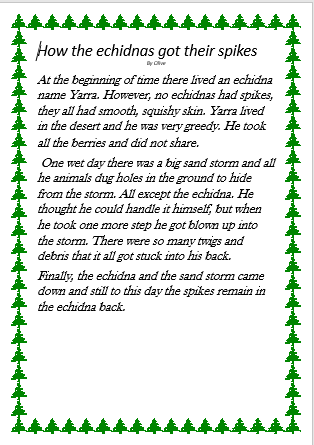 Here are two of the awesome stories written by our class. 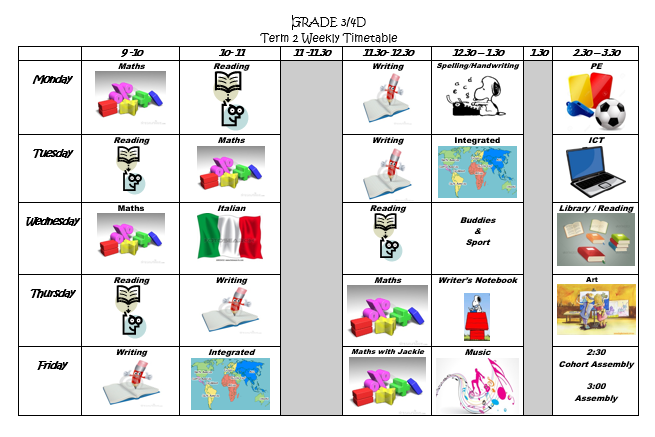 The Term Two timetable for 3/4D has changed slightly from term one. Homework is due back to school on Mondays and sent home again on Tuesday. Library will remain on Wednesday afternoons. Welcome to 3/4D's class blog for 2017! We are very excited to share our learning and experiences with our school community throughout 2017. We are 3/4D at CNPS and we would like to share our amazing adventures and learning with you all.